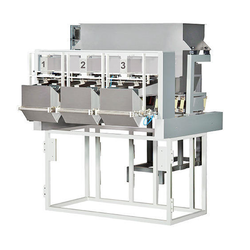 S. G. Packaging & Coding Co.
We are a leading Manufacturer of high speed single head linear weigher filler, high speed three head linear weigher filler, high speed two head linear weigher filler and high speed four head linear weigher filler from Noida, India. S.G. PAKAGING & CODING CO High speed Linear weigher filler our technologically-advanced production facility, we are engrossed in manufacturing and supplying a vast range of High speed Single head linear Weigher Filler that is extensively used to pack products like granuel items chips , rice , cereals , kurkure , mazes , sugar , and other items with high speed single head high speed linear weigher can give 20 dumps per/min. 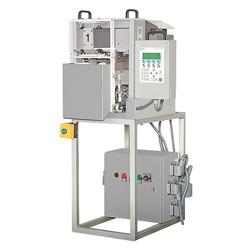 S.G.PACKAGING & CODING CO gives you reasonable price with high quality high speed linear weigher filler. Optimum performance single head with 20dump per/min. S.G. PAKAGING & CODING CO High speed Linear weigher filler our technologically-advanced production facility, we are engrossed in manufacturing and supplying a vast range of High speed Single head linear Weigher Filler that is extensively used to pack products like granuel items chips , rice , cereals , kurkure , mazes , sugar , and other items with high speed single head high speed linear weigher can give 55- 60 dumps per/min. 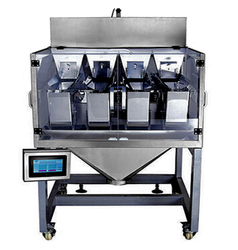 S.G.PACKAGING & CODING CO gives you reasonable price with high quality high speed linear weigher filler. Optimum performance single head with 55- 60 dump per/min. S.G. PAKAGING & CODING CO High speed Linear weigher filler our technologically-advanced production facility, we are engrossed in manufacturing and supplying a vast range of High speed Single head linear Weigher Filler that is extensively used to pack products like granuel items chips , rice , cereals , kurkure , mazes , sugar , and other items with high speed single head high speed linear weigher can give 35-40 dumps per/min. 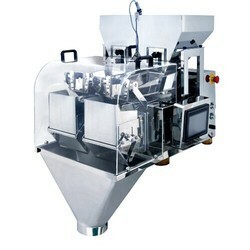 S.G.PACKAGING & CODING CO gives you reasonable price with high quality high speed linear weigher filler. Optimum performance single head with 35-40 dump per/min. Optimum performance single head with 75-80 dump per/min.